if there's indeed a P5 then why SE didn't announced it in mobile world congress? 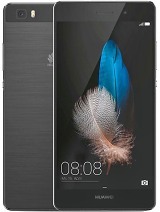 I'm planning to but this phone but does it work as it should in the United States? plz tell me whether this fone HANGS or REBOOTS and if it does then wats the FREQUENCY of hanging. Btw some people have complained about the hanging problem. please help...how can i download the new firmware? after calling or answering to call there was a stop sign like symbole find near signal and bluethooth icone. and "staus bar locked "present in below menu.is there any way to unlocked or delete this function? ilove this phone,its make my daily life easier. hi, everyone. i just got a P1 recently, it's my 1st time using sony's smartphone. There's something i would like to know, can we install 3rd party software into it? Is it compatible with Nokia Symbian 60 program? I find that the operating system is a bit slow, can we do anything to make it faster?